Travellers flying out of Sydney on Wednesday have been asked to check the status of their flights before heading to the airport due to the heavy storms that have struck the city. Sydneysiders woke up to lighting, thunder and torrential rain and wind on Wednesday, causing traffic gridlock on the roads and flooding some areas. Meteorologists have described conditions as a one in a hundred year event. 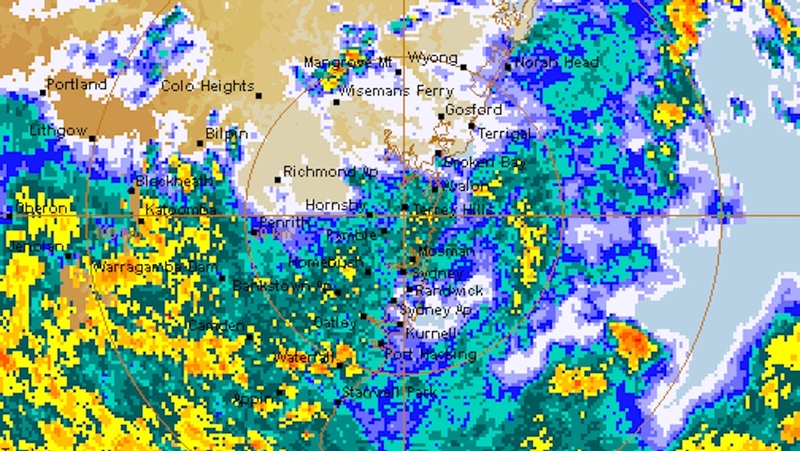 More than 100 millimetres of rain have lashed Sydney in recent hours. The average for November in Sydney is about 83 millimetres. The weather has led to flight delays and cancellations, with Sydney Airport down to single runway operations and the roads around the airport affected. Sydney Airport said on Twitter the airport remained open. However, there were delays of up to two hours for some flights. Hi Liz, it's a little too early to tell, however we are experiencing delays and cancellations in domestic, and 1-2 hours delays in international. You can register for live flight updates via our @flySYD twitter account. Hi Sunil, Sydney Airport is not currently closed, however we are experiencing delays and cancellations due to severe weather. Virgin Australia said flight delays and some cancellations were expected and encouraged its passengers to check their flight status. “We know weather delays can be frustrating, however the safety of our passengers and crew is our number one priority,” Virgin Australia said on its website. Other airlines also had a similar message. “Strong winds and poor weather are impacting flights in and out of Sydney Airport today,” Jetstar said on its website. “Our teams are monitoring the situation and will contact you directly if there are any changes to your flight. Please ensure your contact details are up to date on your booking by visiting Manage My Booking through the Jetstar app or on Jetstar.com. Storms in Sydney are expected to impact some flights today. Please be sure to check our flight status page for the latest information: https://t.co/o98GcxDMsM.